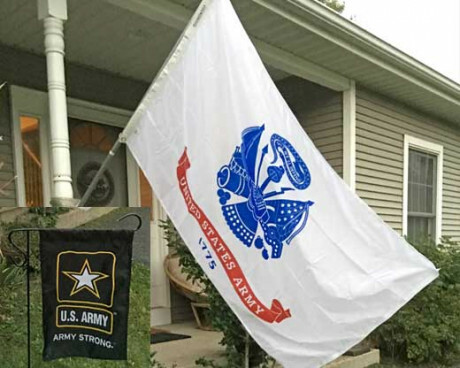 Flying a military flag is a great way to show your support for those who protect our country. 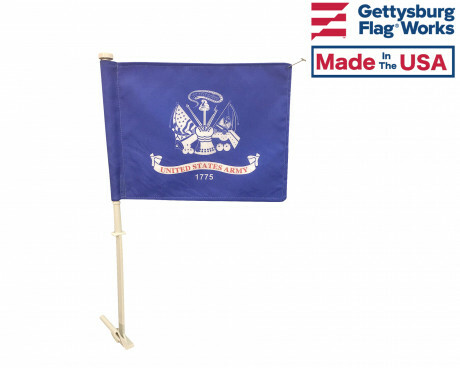 Whether you're a veteran, a soldier, a family member of someone who serves, or simply a prideful citizen, Gettysburg Flag Works has the military flags you need to demonstrate your pride for our American heroes. 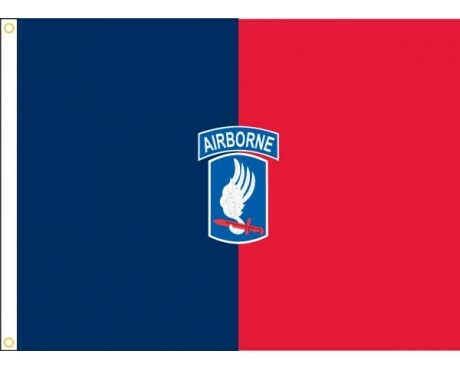 Looking for Army flags? 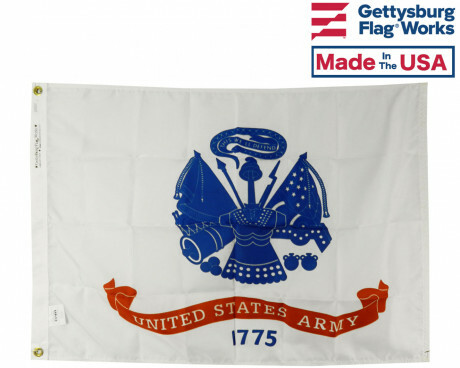 We have dozens of different US Army flags for sale in a variety of sizes, styles and colors. 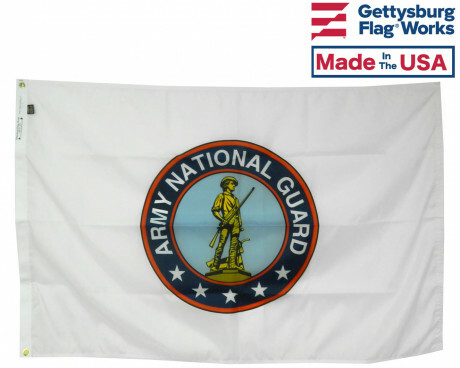 From traditional Army flags to retired Army flags, Army Engineer flags and Army National Guard flags, we have them all! 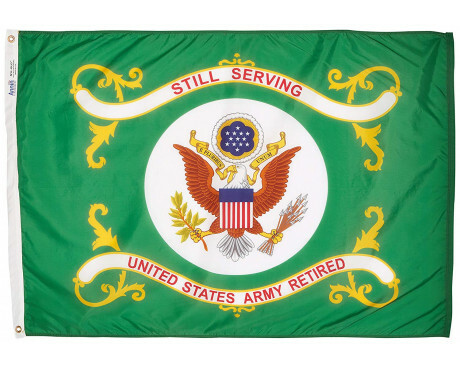 This US Army flag became official on June 13, 1956. 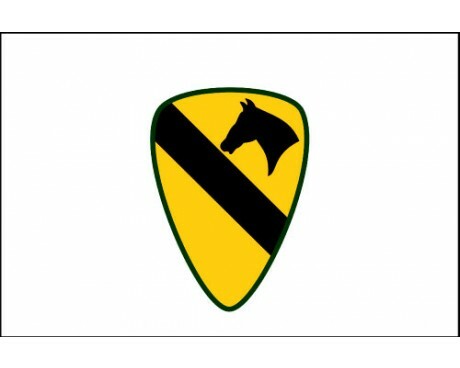 Then Vice President Richard Nixon presented it to Secretary of the Army Wilber M. Brucker. 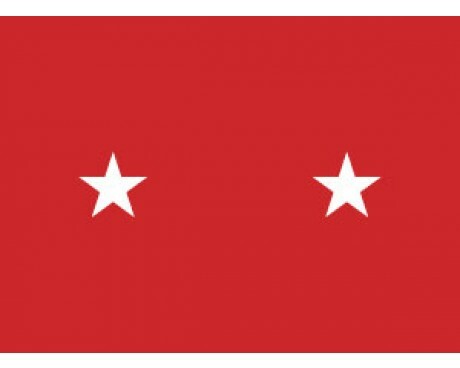 Until then, various elements of the Army, from groups and corps to separate battalions had their own flags, but none had served for the Army as a whole. 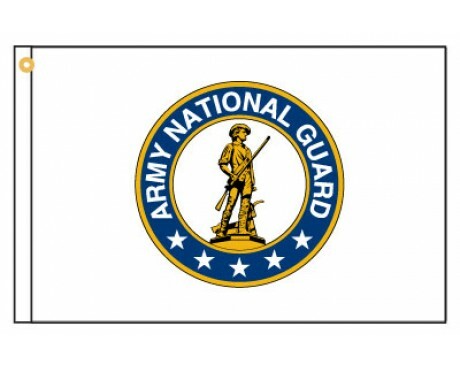 The Army flag was designed by the Heraldic Branch, Office of Research and Engineering, and the Office of the Quartermaster General. 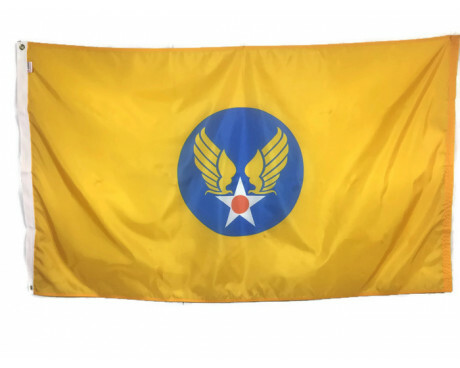 The flag is made of white, with a blue replica of the official seal of the War Office*. 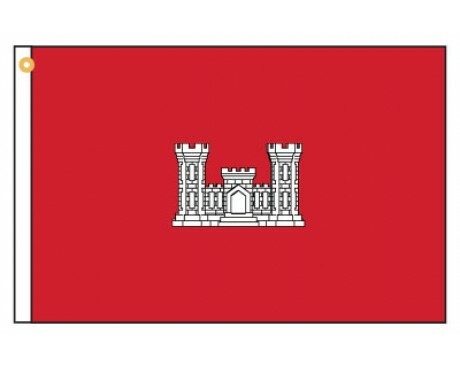 Beneath the seal is a scarlet scroll with the words, "United States Army" in white letters. 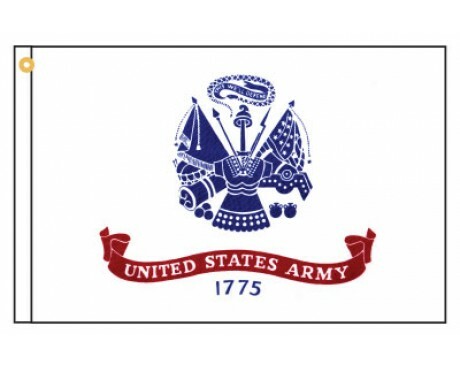 The number, "1775", the year in which the Army was created, appears beneath the scroll. 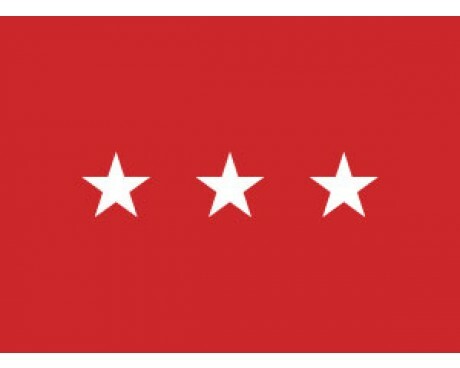 * The seal of the War Office is described as follows: a cannon in front of a drum with two drumsticks; below the cannon three cannon balls. 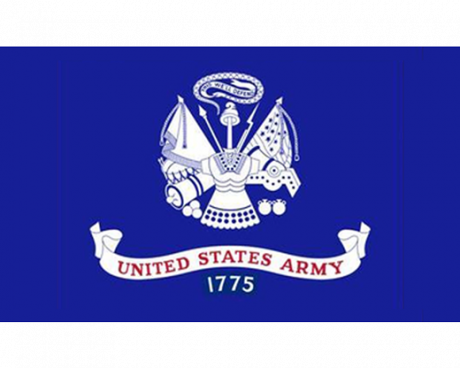 (revolutionary war type) A mortar on a trunion and below the mortar, two powder flasks. 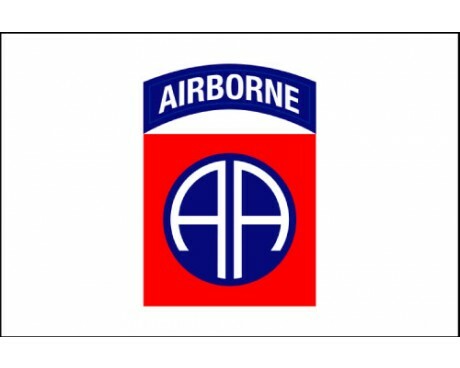 (flasks are also revolutionary war type) In the center a Roman breastplate over a jupon (leather jacket). 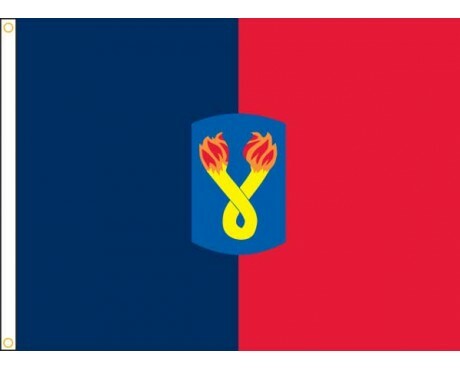 Above the breastplate rises a plain sword with the pommel and guard supporting a Phrygin cap (traditional symbol of liberty) between an esponton (pike) and an organizational color on one side and a musket with a fixed bayonet and the National color on the other side. 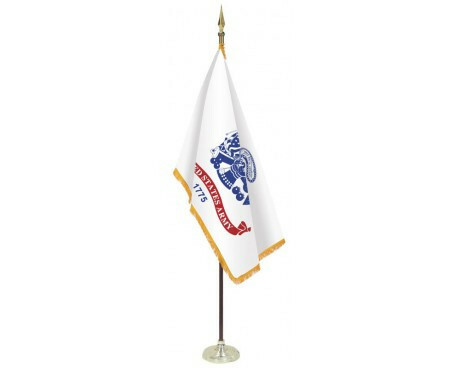 Above is a rattlesnake holding in its mouth a scroll inscribed, "This We'll Defend." 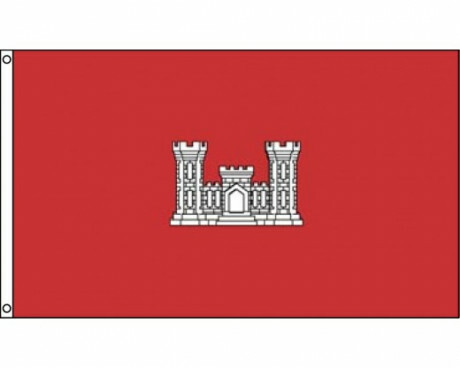 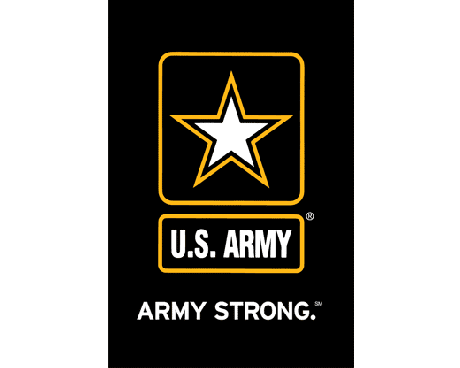 Purchase Your Army Flag Today! 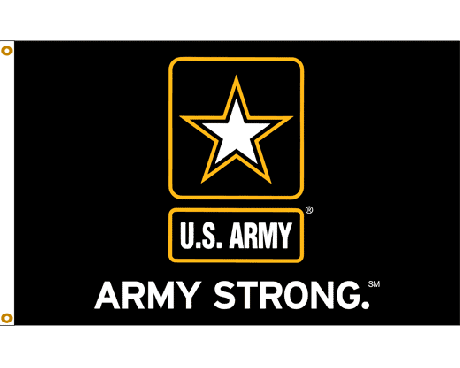 Show your Army pride! 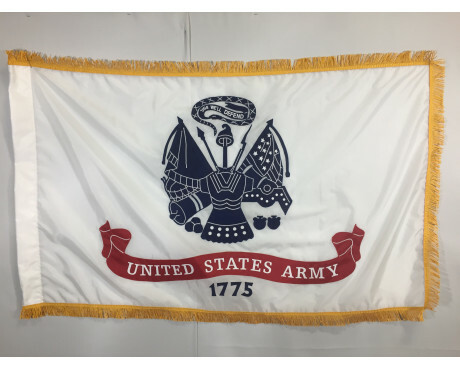 Browse our selection of Army flags, then place your order today! 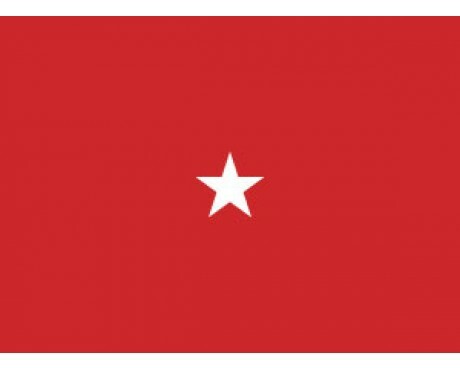 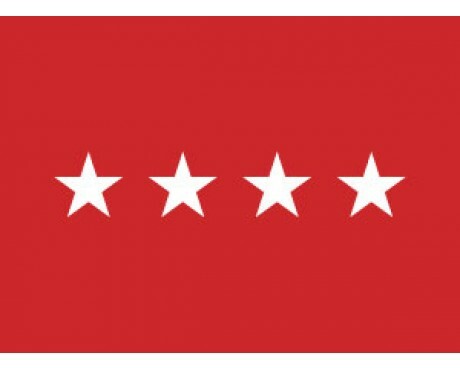 Need help locating a product or have questions about our Army flags? 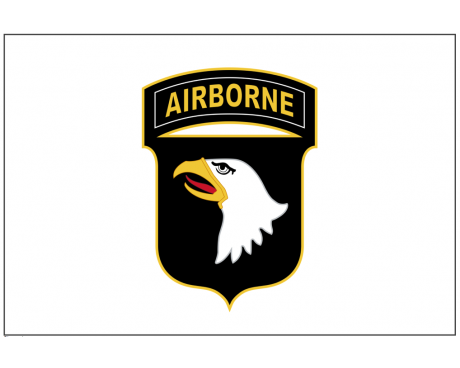 Give us a call at 1-888-697-3524 or contact us online.